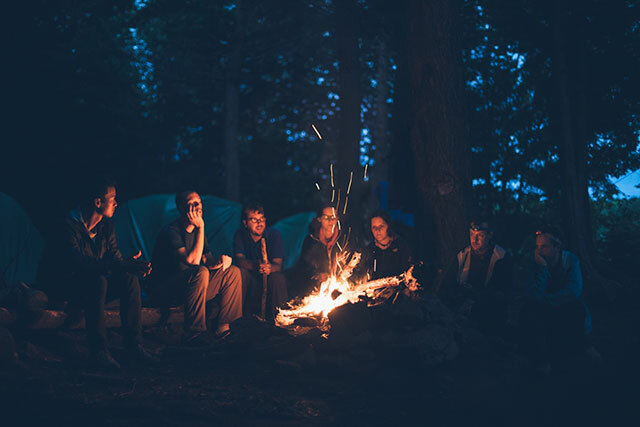 While you can’t expect to have every creature comfort when you’re camping , there are things you should own to make your outdoor experience as pleasant as possible. Over the years, I’ve camped countless times and tried many good and not-so-good products. These days, I’ve whittled down my gear to just the essentials with the greatest return on investment. Be the hit of the meteor shower party in the NEMO Stargaze Recliner Luxury. Its supportive headrest ensures you won’t get a crick in your neck as you lean back, swing and marvel at the night sky. Suspended on the included poles, the chair swings smoothly and gently no matter how rocky, sandy or uneven the ground is below. It’s like a rocking chair and a hammock had a child perfectly built for camp life. A supportive headrest lets you really enjoy the view without craning or straining your neck, and when you sit up the back shifts to support a more upright position. Oh, and the armrests are padded, too. "Most comfortable camp chair I’ve ever sat in. Can sit up or recline almost like a hammock. Very innovative design for a common product no one else is making real effort to improve. " There is nothing quite like gathering around a bonfire with friends and family. Whether you’re at a campsite or just hanging out in the backyard, the warmth and light generated by a fire can be incredibly relaxing. The downside of course is having to deal with the smoke, which can get into your eyes, permeate your hair and clothes, and even choke your lungs. At times, it can be enough to ruin the entire experience. But BioLite has come up with a brilliant new product that promises to eliminate these problems altogether. Enter the BioLite FirePit – a portable device that offers the best aspects of a campfire without the smoke. With a built-in fan chock full of 51 separate jets, the FirePit pumps oxygen directly into a fire, allowing it to burn efficiently, reducing overall smoke output and generating more heat. BioLite also includes a removable grill that allows users to whip up a batch of wood or charcoal-cooked hot dogs, burgers, or corn on the cob, making this portable fire pit as versatile as anything in the company’s lineup. The Titan Stormproof Match Kit boasts some of the longest-burning windproof and waterproof matches around. Each match has a 25-second burn time, will fire up in the harshest conditions, and will relight even after being submerged in water. Each box includes 25 matches plus two extra strikers. The external, integrated striker makes for easy lighting, and the matches’ extended 4-inch length saves your fingertips from getting singed. Along with 37 matches and five replaceable strikers total (that’s 15 beautiful minutes of fire), you’ll receive a waterproof case that floats to keep contents dry and attaches to your lanyard via a sturdy cord. Enjoy cocoa, coffee or a gourmet freeze-dried meal in a jiffy with the new Jetboil Flash cooking system, which boils water in 100 seconds, allowing you to conserve fuel and dig in faster. The Scrubba wash bag is the world’s smallest washing machine and the ultimate travel and camping essential. This convenient, pocket-sized travel companion allows you to travel lighter and helps you save money, time and water. Weighing less than 142g (~5oz.) the Scrubba Wash Bag is a modern take on the old fashioned washboard. It is twice as effective as hand washing* and a lot more hygienic that a dirty hotel sink. The Solar Spark Lighter is a unique pocket-size solar fire starter and lighter. It is a stainless steel parabolic mirror, like the one used to light the Olympic torch. It is designed to focus the sun’s radiant energy to a precise focal point that can reach hundreds of degrees! This great solar fire starter is perfect for backpacking, boating, hiking and as a great addition to a survival tool kit. This compact and lightweight pouch belongs in every outdoor travel kit. It packs an emergency 2-person tent made from tear-resistant, durable HeatFlex mylar, can reflect heat outward or inward, and sets up in minutes using the included 20ft length of paracord.